I recently tweeted out this comic art to Stan Lee. I don’t know if he saw it, or saw it published in this years San Diego Comic Con souvenir book. It was a tribute of sorts to the man’s unique creations which have touched me and millions of fans everywhere. I would like to believe that for at least for a moment, I caught his attention the way he had continually caught mine. When I was a kid my brother got nearly the entire run of Stan Lee’s Spiderman comics at a garage sale. I read every issue enthusiastically and continue to read his work today. His influence on pop culture is nothing short of amazing. I loved the way Stan Lee would deal with the media and how he proudly promoted superheroes. Some would say he was corny and out of touch, but I never did. I was trying to break into the superhero entertainment biz anyway possible. I would get onto superhero and action movies as an extra and stand in and then hit up directors to try to collaborate on superhero projects. I sent out packages of my superhero related work to every superhero production. Rarely did I get any responses. I was thrilled when I got a call from director Sam Raimis' office telling me that Sam had a SAG extra part for me as the sunglasses salesman in the Spiderman Movie. I had already done a lot of extra work but being picked by Sam Raimi on Spiderman was exciting. When, I picked up my wardrobe. The wardrobe guy looked at my voucher and said. “Wait a minute, your supposed to be and old man.” I was confused. Later I saw Stan Lee eating lunch. I was excited to see him, even though I was starting to put together that he was taking over my part. While the scene was being set up, I was there with Stan in the sunglasses booth. Stan was asking me what to do? Where he should look and where to stand. I was getting along with him great but thinking, what is going on here? Sam Rami was too nice of a guy to say it, but I could sense that I was ruining Stan Lee’s Spiderman cameo. I couldn’t believe I was finding myself in this situation again. I remembered Bob Kane’s Batman and Robin cameo. 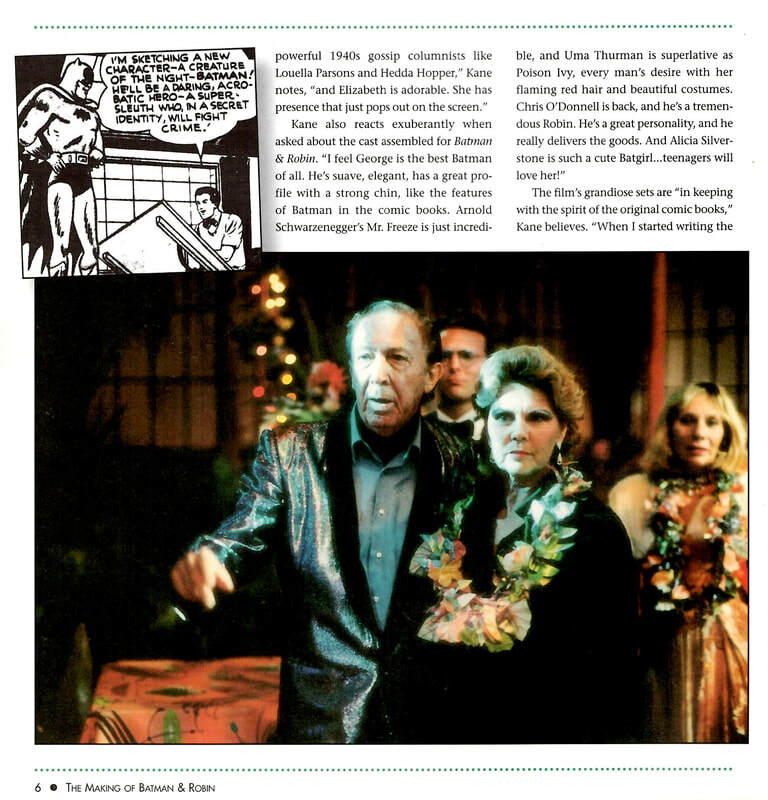 Joel Schumacher put me in the shot behind Bob Kane because he knew I was a fan. But instead of running around panicking like I was supposed to, I put on my glasses and stood stoically because I was hoping to play Superman in the movies and was trying to create a DC Universe easter egg. Afterward the 1st assistant director got mad at me and said I ruined the shot. I felt terrible. The shot was cut from the film. I wasn’t going to let that happen to Stan. As a fan of Spiderman and of Stan Lee, I knew what I had to do. “Would you like me to step out of the shot Sam?” I said. “Would you mind?” Sam Raimi said. I stepped out of the shot, stepped back and got to witness history. Stan Lee shot an awesome cameo. This kicked off a great tradition of cameos for the heroic creator. Stan Lee with the hero he hopes he's remembered for, Spiderman. Me ruining Bob Kane's cameo in Batman and Robin. From The Book The making of Batman and Robin. ​"Associate producer Grant Curtis said to me later, "I hope you understand, Stan Lee came that day and we had to give him something". I said, “Of course, Stan is the man!” That night I sat in the parking lot in my car for an hour before I could drive home because my head was throbbing so hard. But I knew I did the right thing. Years later, Stan Lee’s show, Who wants too be a Superhero was casting real life superheroes, I had a hero called Disarm, a gun hater who vaporized weapons, I made it all the way to final audition. When I was about to go in, a bunch of people complained they had been here long before me and I let them go first. When I finally got in, There was a guy pretending to be Stan. Stan had just left. If I hadn’t let the people go ahead of me things may have gone differently. The guy pretending to be Stan berated me during the final audition. I wish it had been Stan. I had a good rapport with him. When I was on KROQ’s, Kevin and Bean show, they were going to do a bit where they had me on the show with Stan Lee and I was going to pitch him my superheroes. It never worked out and I ended up doing the bit with Scott Rosenberg. I really wish it had been Stan Lee. Professionally for me I wish things with Stan Lee could have gone better, but those thing never affected the way I felt about the man. He was and will always be a real life superhero to me. 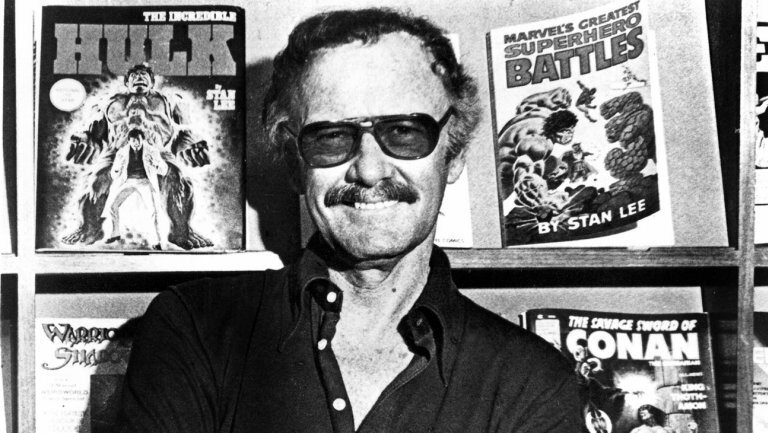 His influence, inspiration and charm will live on forever through his incredible cast of Marvelous superheroes and in the hearts of wanna be heroes everywhere. Thank You for all Stan Lee! Exclesior! !